Christmas post in October, yes it is true!! 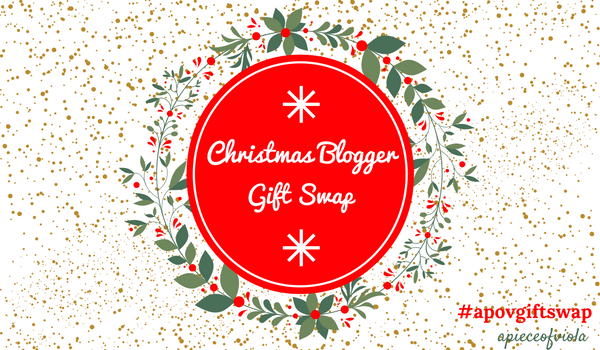 I am a massive lover of Christmas so when I saw through Emily's blog there was a blogger Christmas gift swap, I knew I HAD to do it! Buying gifts for people just makes me so happy and the chance to meet other bloggers is even better. The whole idea is that you get a blogging partner, make a budget (if you want), buy a gift, wrap it all pretty and then send it away! Basically like Santa! Let me know if you are excited as I am? What do you want this year? I did this last year, so fun! Such a cute idea, I'm so not ready for Christmas though! This idea is so so cute! Really getting me into the Christmas spirit!